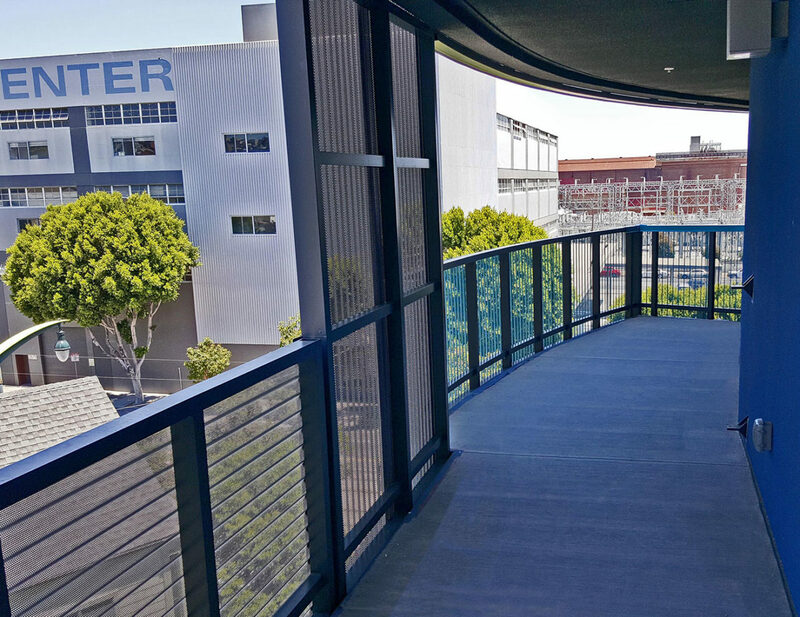 Abaca | Trex Commercial Products, Inc.
Trex Commercial Product’s work is incorporated throughout the building’s exterior, which includes more than 3,100 linear feet of railing for the building’s guardrails, Juliet balconies and screen walls. 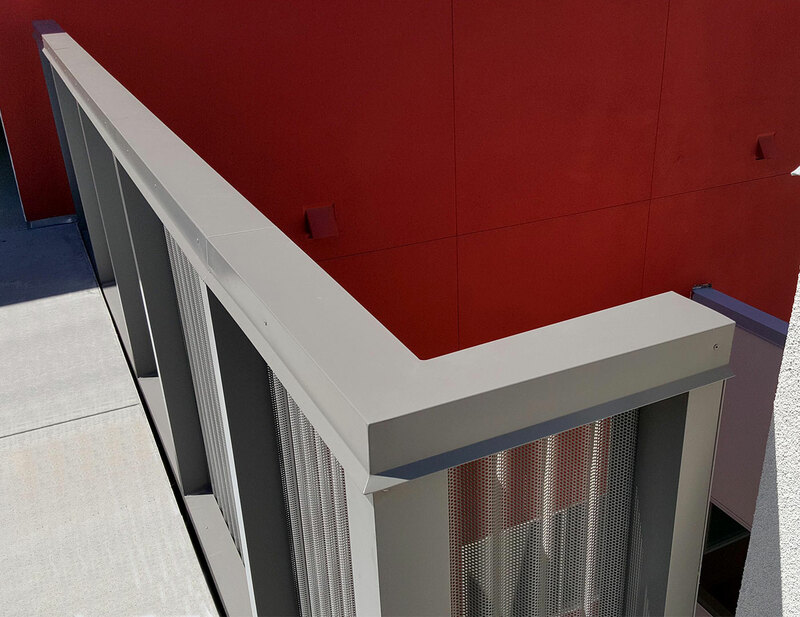 Exterior patio features an aluminum corrugated panel railing system allowing for privacy of patrons while adding a modern aesthetic. 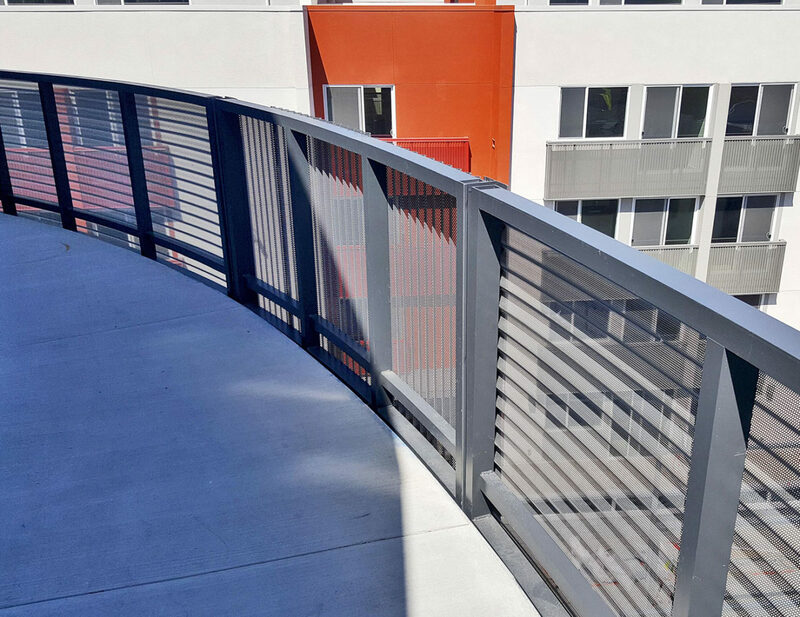 Railings and panels were painted on both sides in bright Kynar® colors, including Zinc Gray, Blue Gray, Caribbean Blue, Iguana Green, Million Dollar Red and Delta Clay. 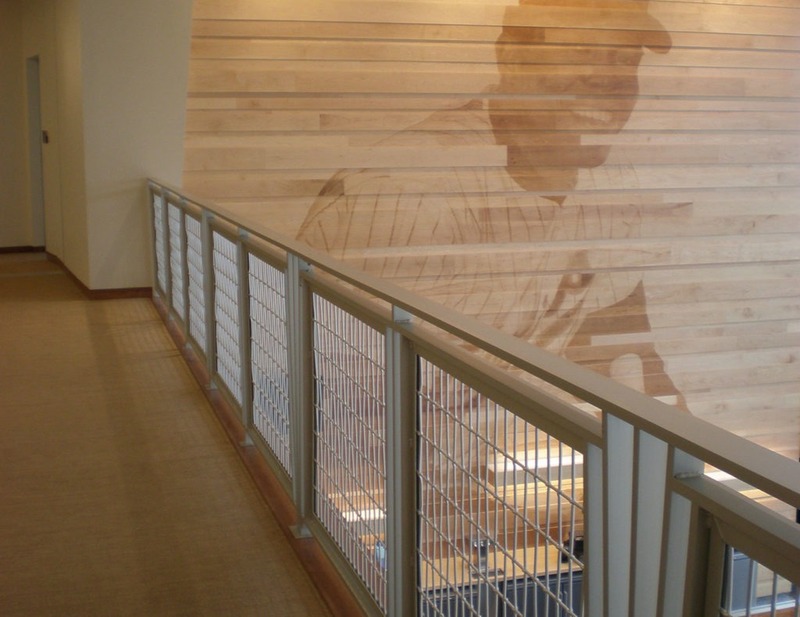 Trim was curved to the same radius as the railing. To accomplish this, TCP created custom jigs to fabricate the coping in house. Continuous welds on the thin gage aluminum brought the profile together. All of the railing was installed off of scaffolding. 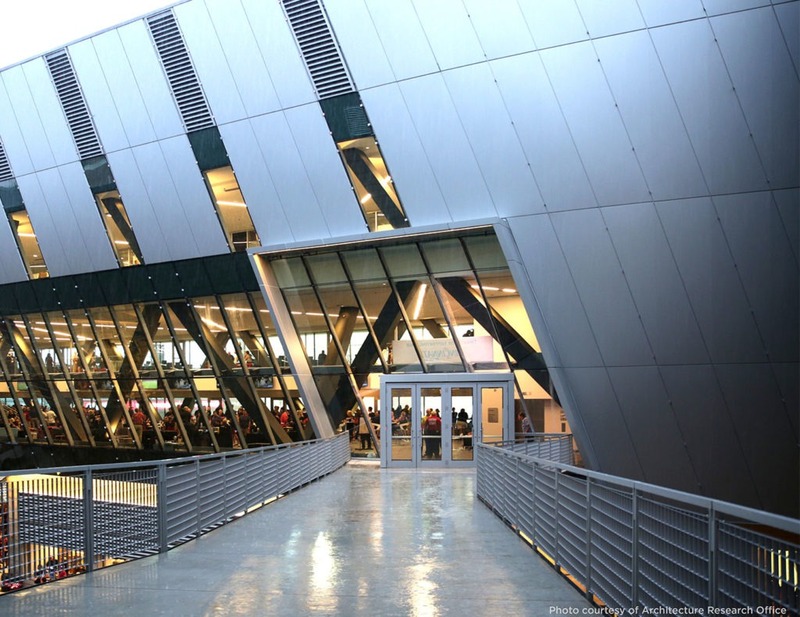 In some cases, the railing extended further from the building than the scaffolding, requiring precise coordination to install the railings as the scaffolding came down. 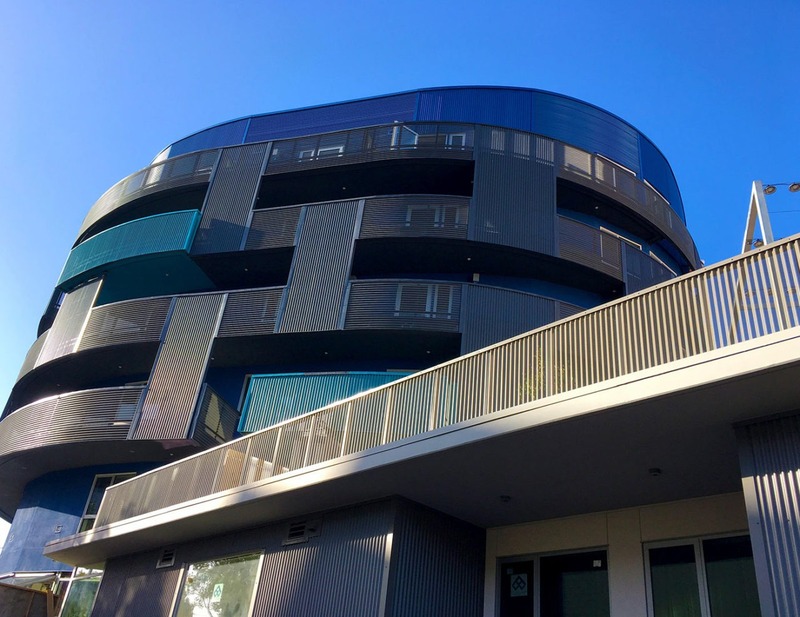 Trex Commercial Products provided custom aluminum frames with perforated screen panels and trim for Abaca’s balconies. The panels and trim were all cut on site to perfectly fit each frame. Abaca’s uniquely designed panels and railing stand in stark contrast to the neighboring architecture. 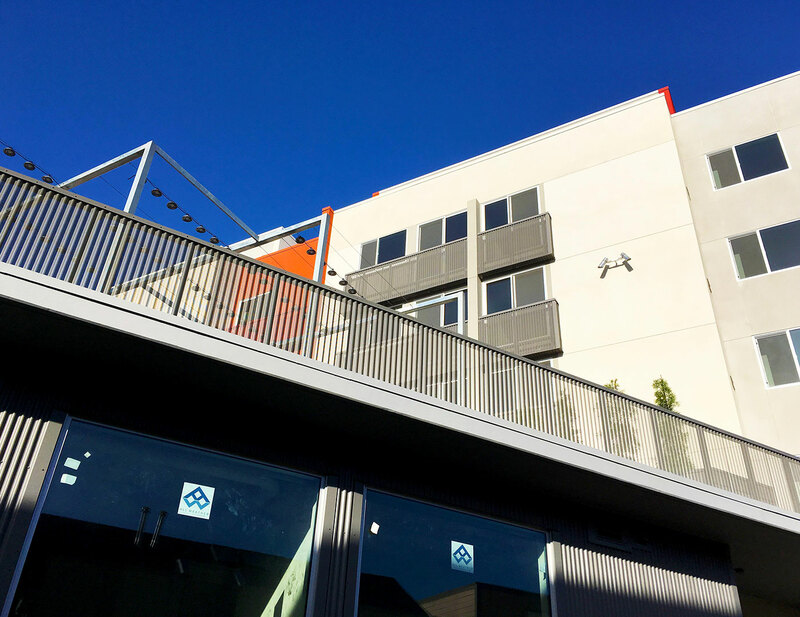 In an industrial area formerly dedicated to ship building, San Franciscans now shop, dine and live. 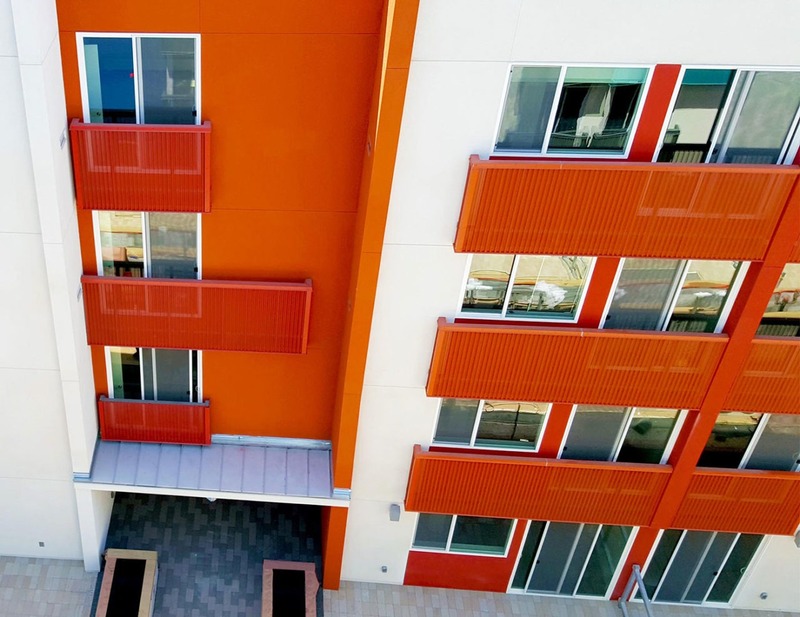 Inspired by the recent rejuvenation, the architects of the new Abaca Apartments chose to stand out from the neighboring warehouses with a bold design – and colorful railings to complete the look. 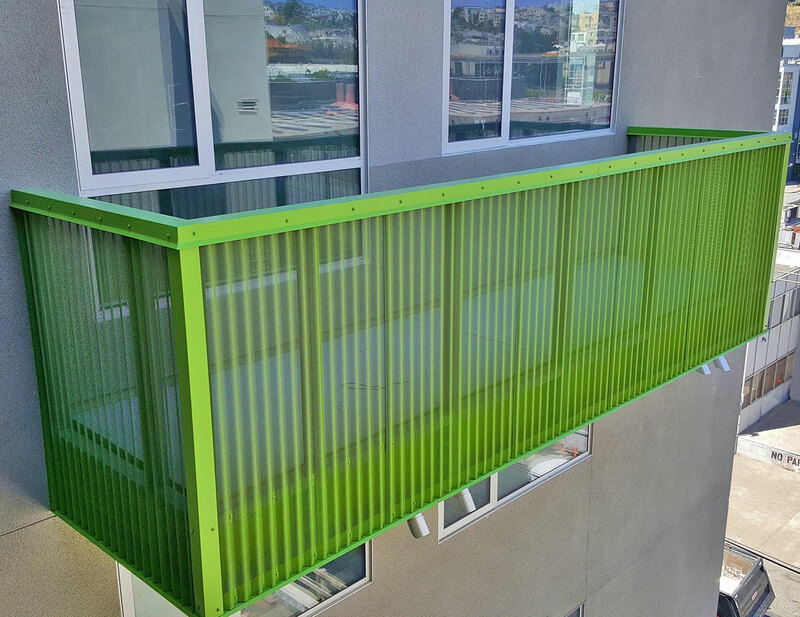 Custom Trex Commercial Products steel railing and corrugated aluminum panels were staggered and finished in an array of colors, adding brightness and whimsy to the exterior. 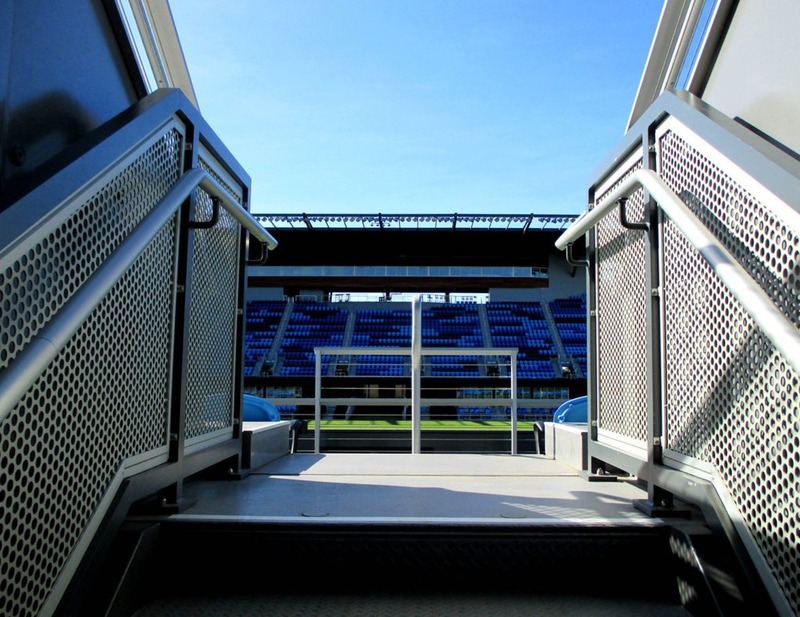 Mesh style railing available with metal mesh panels or specified infill material.